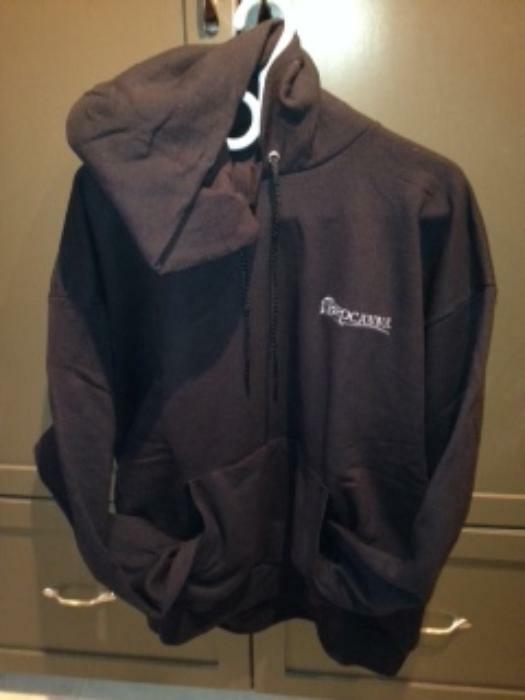 Donated by Procanna, a Men's Hanes comfort blend black hooded sweatshirt. Size XL(46-48) Pre shrunk cotton/poly blend. Hand warming pouch in the front. Draw strings on the hood.